Cognac found in cellars six stories under historic villa, restaurant owner reveals find to European newspapers. More and more has come to light over the past year about the Nazi regime in Germany and worldwide - including the full text of its surrender telegram on V-E Day, the possibility of a secret hideout in Argentina, and the existence of an art trove looted from Jewish victims held by Cornelius Gurlitt. But on Thursday, one well-known German restaurant owner was surprised to see a Nazi secret lurking under his eatery: the champagne and cognac stash of Adolf Hitler. The stash was found in a network of cellars six stories under the garden of the historic villa of the Moritzburg Water Palace, Silvio Stelzer told the German Bild and the British Telegraph, the location of his restaurant in Saxony. Workmen stumbled on the cellars during renovations. He also found ledgers which showed that Hitler's staff had taken personal responsibility for the hoard, moving it to the cellar to protect them from Allied air raids in Berlin. At one time, it included salami, cheese, chocolate, and cigarettes - at a time when most of Germany was starving. On May 8, 1945, the Russian Red Army looted everything, he added - but, somehow, the champagne remained. 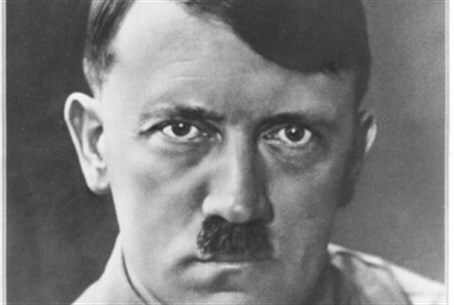 Hitler rarely drank, historians have noted, making the stash something of a curiosity. The Telegraph predicts that the liquor was likely used for entertaining.